It’s hard to believe that we’re already well into 2018! Even in the first few months, we’re already starting to see some amazing kitchen trends that will mark the most popular designs of 2018! But, even as we look forward to what’s yet to come for kitchen design, it’s important to take a look back. In fact, 2017 proved to be an incredible year in this sector, with many beautiful kitchens surfacing on the Internet. 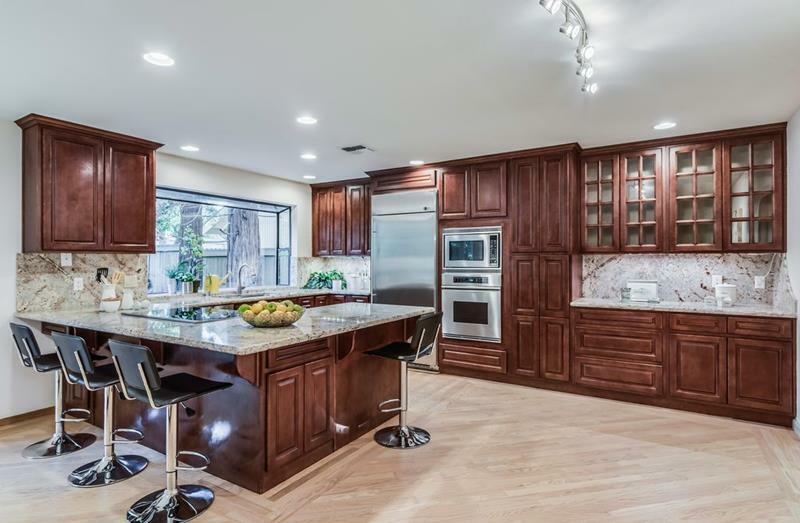 One popular website that catalogs kitchen design trends is Zillow Digs, which shows off the home improvement projects of people all over the world. For fun, we decided we’d take a look at what the most popular kitchen photos were for 2017. In doing so, we learned that tastes are as diverse as we’ve always suspected them to be! But, one thing is true no matter what kitchen on this list you’re looking at; they’re all beautiful! Let’s take a look. It’s true that this is very much a no-frills design. 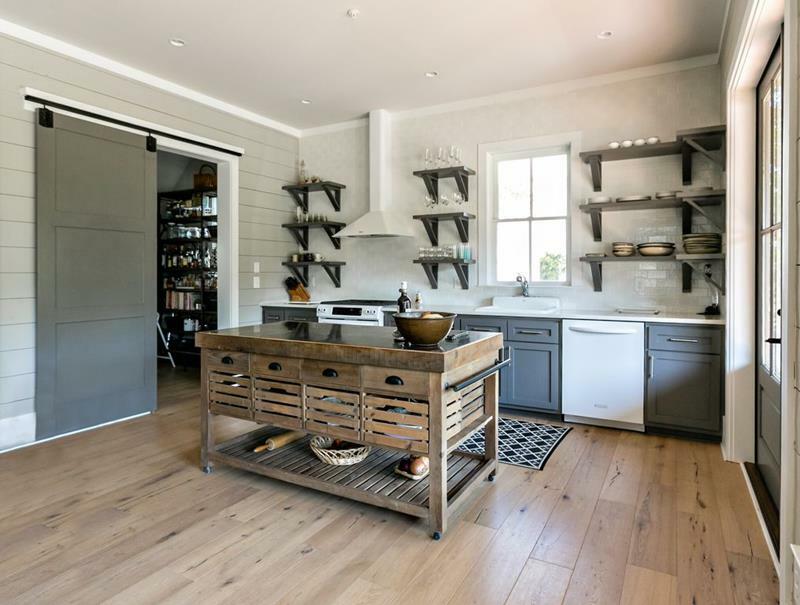 However, the no-frill design leads to an ample amount of space, and the contemporary cabinetry choices work wonderfully against the distressed wood floors. 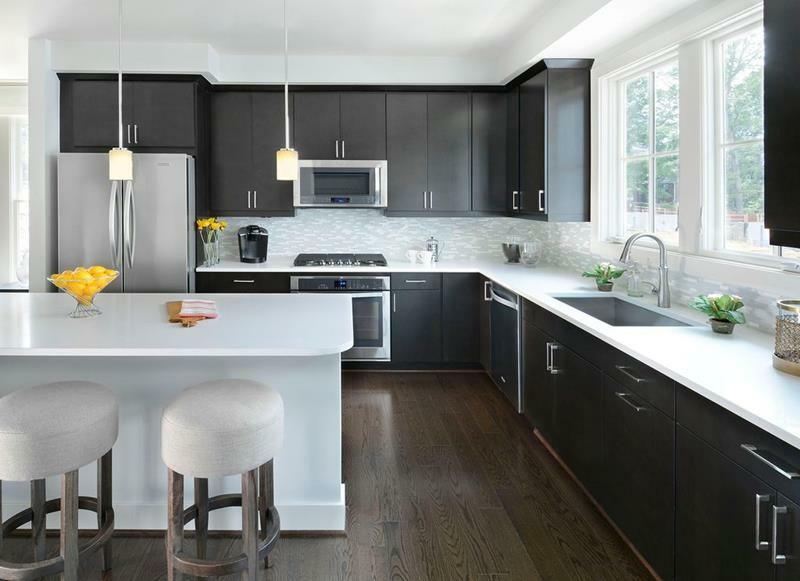 The black-and-white kitchen is definitely going to be a trend in 2018! This popular kitchen was definitely ahead of the curve on that one! 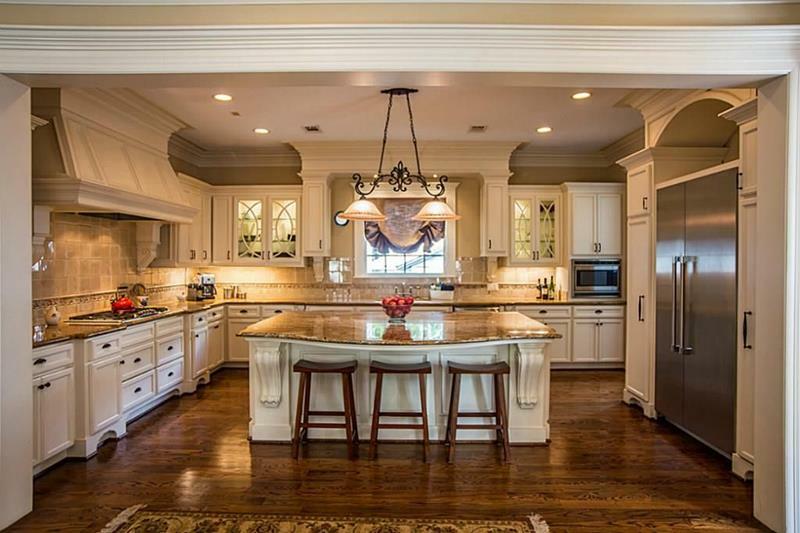 It’s easy to understand why this kitchen design stood out. That floating island is beautiful, and the exposed shelving is a smart and contemporary choice. 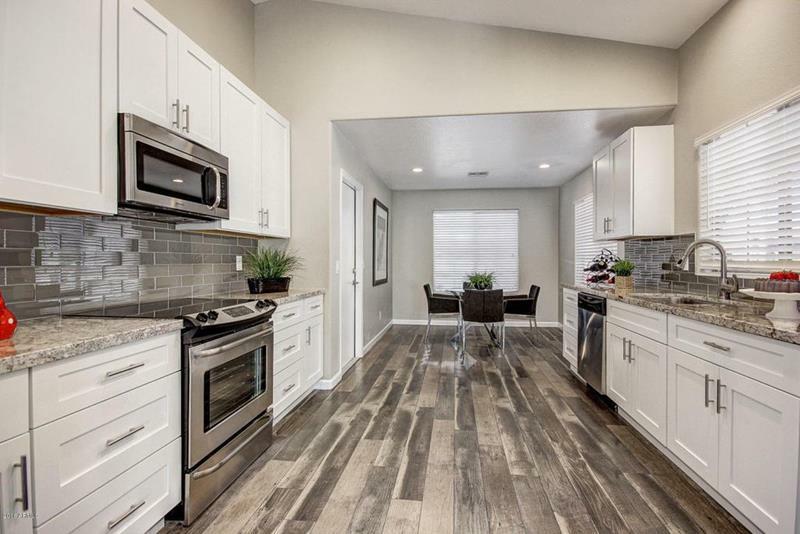 A kitchen featuring lush wood cabinets like this could easily appear quite boring. However, the smart use of lighting here really makes this design stand out. 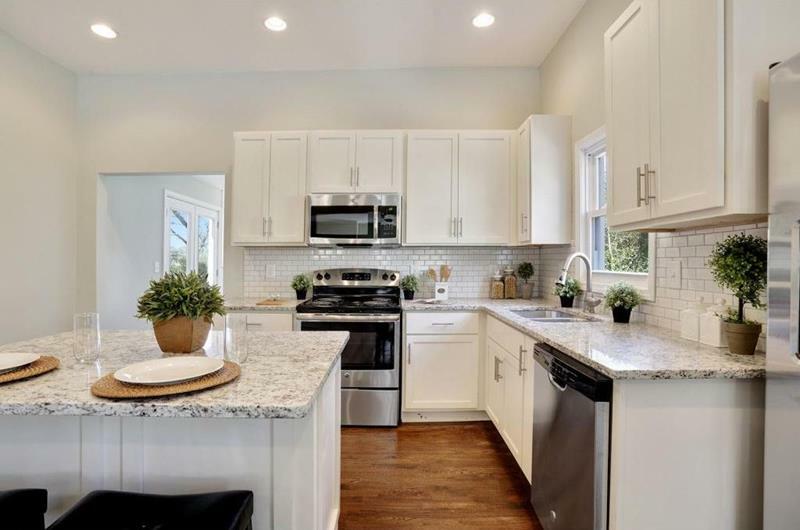 One reason that this modest kitchen design rose to the top of the charts has to do with people’s growing interest in using white subway tile for kitchen backsplashes.